Your home away from home…. 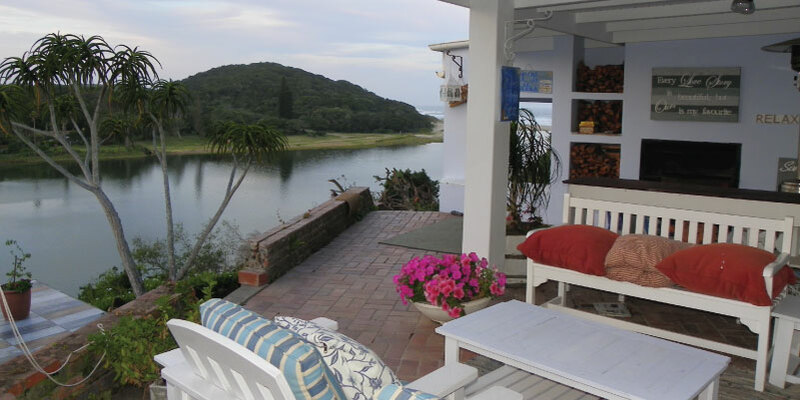 Blue’s Guest House is situated on the scenic Quenera River, in Bonza Bay, Beacon Bay, East London, South Africa, with spectacular views of the Bonza Bay river and beach. 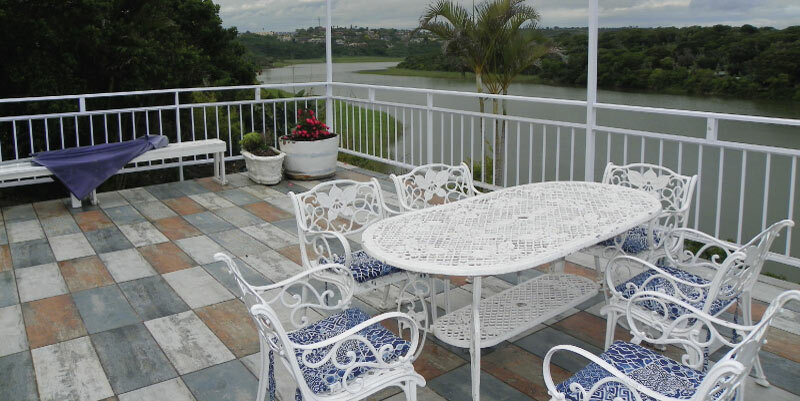 Blue’s Guest House offers bed and breakfast type accommodation, and is situated 100 meters from the Bonza Bay beach, with river access. It is an ideal guesthouse / bed and breakfast for guests looking for comfortable lodging with lovely views, close to other facilities. Bonza Bay in East London is a great holiday destination with a white-sand beach just off of the Quinera River, giving you the best of both worlds. 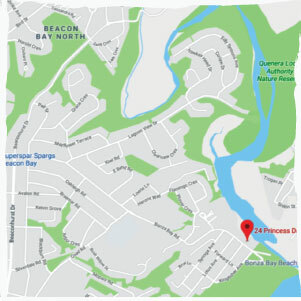 Fishing, bird watching, swimming, canoeing and surfing are all within walking distance from the guest house. 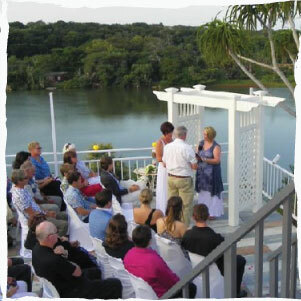 Blue’s Guest House has a venue suitable for conferences, birthday parties, business lunches and weddings. The venue can handle +/- 50 people seated. We use Blue Ribbon for catering purposes. 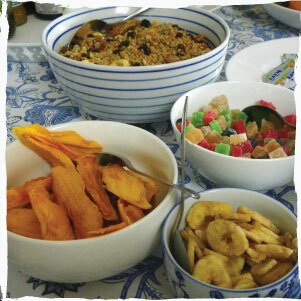 A scrumptious breakfast is served in the communal dining area, where dinner can be arranged as well. Special breakfast options include Continental, Full English / Irish, or Vegetarian breakfasts. The guesthouse also offers a boma area with braai facilities. Blue’s Guest House is within driving distance of shopping malls, restaurants, and other attractions in the area. It is situated 8 km from East London, and the nearest airport is East London Airport, 16 km from the guest house.